Tobago has now joined the World Tourism Cities Federation (WTCF). This was revealed today by the Ministry of Tourism. A delegation led by Minister of Tourism Randall Mitchell attended the WTCF Fragrant Hills Tourism summit which took place on September 7 and 8 in Qingdao, China. The event marked Tobago’s admission to the WTCF, an international organisation formed by prominent cities and tourism-related institutions that serves as a platform for its members to share experiences and best practices towards the building of their destination brands. 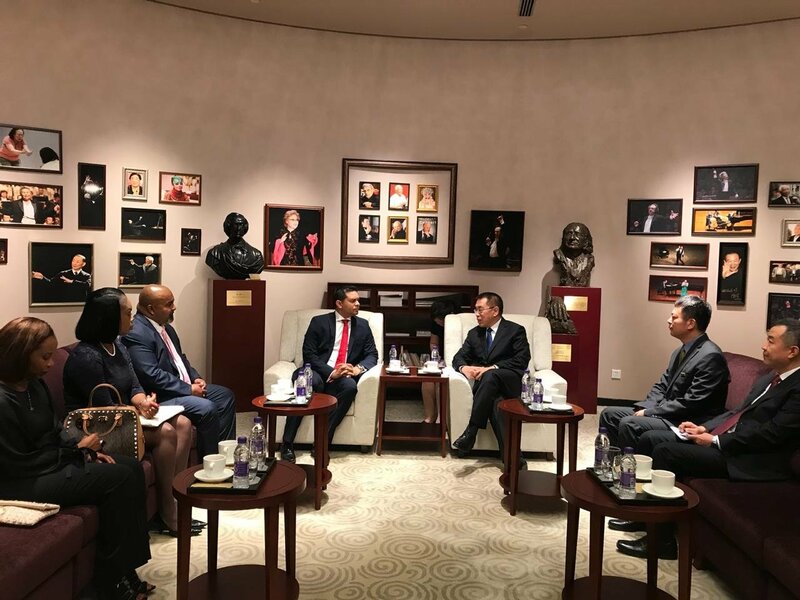 In a press release today, the ministry said prior to the Qingdao summit Mitchell visited the capital city of Beijing, and TT’s Ambassador to China, Stephen Seedansingh Jr, joined the delegation to attend a meeting between Mitchell and Vice-Mayor Wang Ning on matters of mutual cooperation. The theme for the summit entitled, “Orient Industry Trends and Brand Tourism Cities”. Reply to "Tobago joins World Tourism Cities Federation"